Ny vadiny dia Lou Henry Hoover. 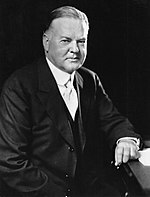 Ny zanany dia Herbert Hoover, Jr., Allan Hoover. Voaova farany tamin'ny 8 Jiona 2016 amin'ny 17:00 ity pejy ity.